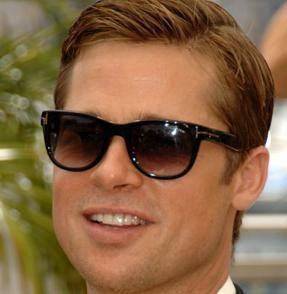 Brad Pitt, who voice Metro Man, thought his animated character looked a bit like George Clooney. Angelina Jolie would like to play the role of Elizabeth Taylor in a film, which focused on the infamous love affair. Brad Pitt and Angelina Jolie were spotted while having a beach party in Malibu, California. Angelina Jolie, who was sporting a gray wool dress and beige gloves, was seen taking a trip to the Venice’s canals. She only returned to Venice when she resumed filming with her co-star Johnny Depp. Brad Pitt and Maddox were spotted at the New Orleans Saints playoff game against the Arizona Cardinals in the Louisiana Superdome on January 16. Angelina Jolie once did a mail-oder degree to become a funeral director. Brad Pitt and Angelina Jolie were spotted taking their four oldest kids, including Maddox, Zahara, Pax and Shiloh, to see the Broadway musical “Mary Poppins” in New York City on January 3. Angelina Jolie reportedly told her partner Brad Pitt that she wanted to try an open relationship and she is keen to see other people — both men and women. Angelina Jolie made a sweet birthday cake for her son Maddox’s birthday in August even though she is a working mom. Brangelina’s Kids Can’t Be Controlled By Their Parents? A report suggested that Angelina Jolie and Brad Pitt are having a rough time trying to control their kids. Read moreBrangelina’s Kids Can’t Be Controlled By Their Parents? Angelina Jolie and Maddox spent quality time together as they went shopping at a supermarket in Brignoles, south-eastern France on Tuesday, September 29. Angelina Jolie reportedly walked out on Brad Pitt following a furious argument last weekend. Disappointed Brad Pitt and Angelina Jolie made a quick exit from the awards ceremony after missing out on gongs and arrived back at their hotel to find four of their kids running riot. 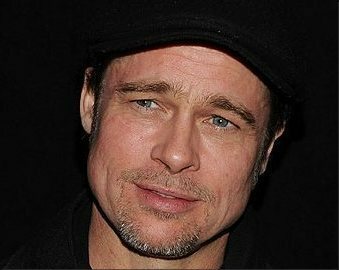 Brad Pitt says that when it comes to learning French his partner Angelina Jolie is miles ahead and in comparison he can barely master a sentence.